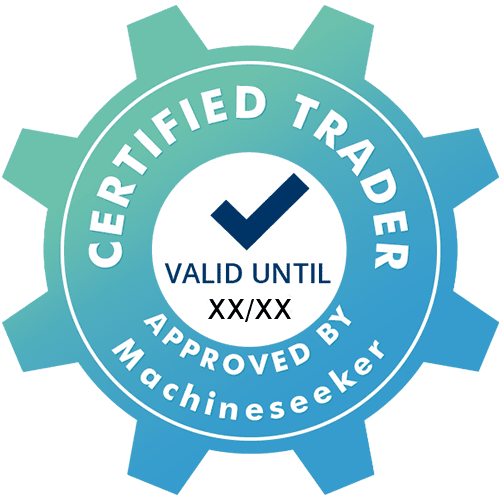 The Machineseeker Trust Seal has been a great success for our dealers and their customers from all over the world. This led us to preferentially rank advertisements of dealers awarded with the Machineseeker Trust Seal. The security of online-purchases is and always has been a big issue here at Machineseeker. Our Trust Seal now allows prospective buyers to spot a trustworthy dealer at first glance. This increases the confidence of prospective customers in our dealers. Initial analyses indicate that the Seal not only leads to more inquiries from buyers, but to also to more sales. Apart from the excellent response that we received from dealers, we were particularly astonished by the huge volume of positive feedback from buyers all over the world. The Trust Seal allows interested parties to save a lot of time and effort when selecting Advertisements, respectively partners in business. Due to the implementation of the Trust Seal alongside several other changes we as the world’s leading marketplace for used stationary machinery were able to once more increase both our count in visitors and the transfer in inquiries by 50% compared to 2016.